﻿ Antiques on the Square - Ohio. Find It Here. Welcome to Antiques on the Square! 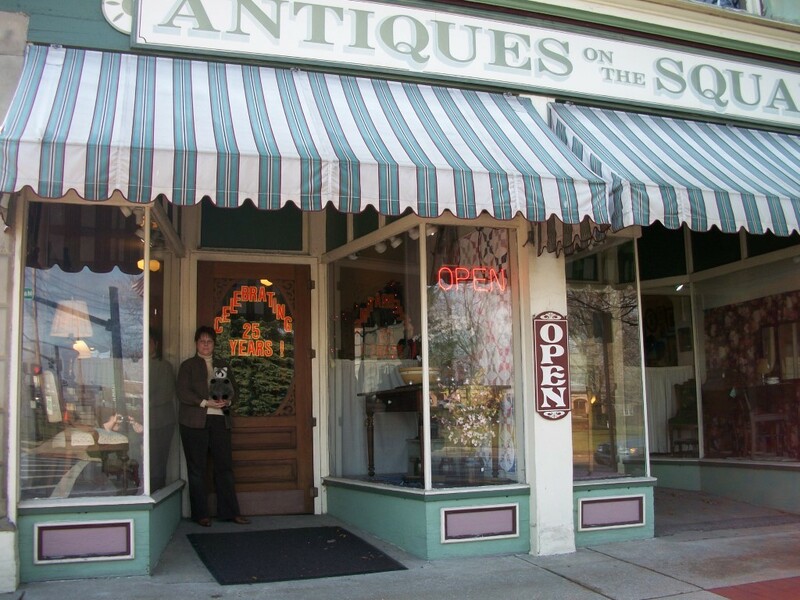 Located in the heart of downtown Chardon since 1985, Antiques on the Square features three floors and over 6,000 square feet of antique furniture, glassware, clothing, military memorabilia and much, much more! Antiques on the Square is a multi-dealer shop featuring over 20 dealers selling a variety of antiques and collectibles. Owner Pat Martin has over 30 years of experience in the antiques business. Located in a renovated 1868 building on Chardon Square, we have 3 floors with 6,000 square feet of Victorian, oak, country and mahogany furniture; jewelry and ladies accessories; glass, china, Fiesta, linens, prints, paper collectibles; fishing, golf and sports memorabilia, military memorabilia and more. Many of our dealers have been here since the shop opened in 1985. They bring a wealth of experience to our valued customers. We have been a four time winner of the best antique store category in the Fox 8 Cleveland Hot List. Antiques on the Square was also selected as the winner of the News Herald's Best of the Best for 2013, 2014 and 2017 in the Antiques Shop category.